A restaurant's logo is the language it speaks to the world. The entire identity of your restaurant can be summarized and explained with its logo. It is for this reason that having a well designed logo is so important, especially in the restaurant industry, where your logo can help with your restaurant marketing. In this article we show you some of the most important restaurant logo design elements and provide you with a multitude of free restaurant logo makers and inspiration to get you started. Whether you have taken the time to consciously analyze your favorite logo designs or not, there are typically three main features that when properly combined form a highly effective logo. The main purpose of a restaurant logo design is not only to look good, but also to establish a brand name. This is why the placement and even choice of your restaurant name is so important. If done correctly, your logo should positively reinforce the name you’ve chosen for your restaurant, allowing customers to instantly associate your restaurant with its logo. Your logo will become your main branding collateral across not just the web but in offline mediums as well, hence it is important to be aware of the role your name plays. Aptito has a great article on choosing the perfect restaurant name including 30 examples. The design process at your restaurant extends beyond just the interior. Your logo is a huge part of the design decisions that need to be made. The logo design you select instantly sets your customers’ expectations. A logo for a fine dining restaurant should ideally set itself apart from a logo for a burger joint. These non-verbal cues are ultimately delivered through the logo design you select. To help come up with an appropriate design, focus on the first thing that comes to mind when thinking about your restaurant. For example: If you run a seafood restaurant, that could be a certain fish, shellfish, or even something nautical themed such as a boat. The last element of a successful logo design, and often times the most overlooked one, is your choice of colors. While choosing colors is typically part of the logo design process, it is important to treat it as a separate decision. Colors play a big role in inducing certain moods or associations; hence the psychological factors should not be ignored. When it comes to designing a logo for a restaurant, the color you could consider incorporating the most is red. Studies have indicated that the color red can directly influence appetite, which is why some of the most famous restaurant logos use this primary color. If red doesn’t mesh well with your pre-established branding, try to find creative ways to incorporate the color. 3 additional design principles to keep in mind when designing your logo. Simple: Make sure to keep your logo as simple as possible. Your logo doesn’t need multiple points of interest. Timeless: Your logo should stand the test of time. Rebranding your entire restaurant years down the line is costly and time consuming. Instead, keep your logo as time neutral as positive so even your children’s children can find it relatable. Versatile: Your logo won’t always be shown in the exact format you planned for. It may be viewed in black and white, smaller or larger. Keep all these different factors in mind to put together a versatile logo. With the correct design practices in mind it’s time to start thinking about turning your logo ideas into a reality. You could try drawing out your logo by hand, but with software designed specifically for that purpose why even waste your time? Below you will find a selection of the best free online restaurant logo makers that require absolutely no design experience. 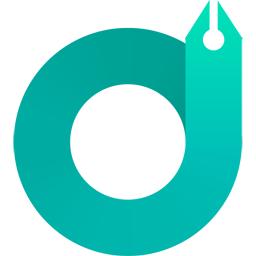 Canva is one of the most popular free online graphic design tools available. It’s easy to use drag and drop interface along with the thousands of free templates available makes it a great resource to any restaurant owner looking to put together a well-designed logo with or without any prior design experience. As the name implies, Free Logo Services allows users to design thousands of free restaurant logos with their easy to use logo makers. The three step process walks the most amateur designers through the process of creating a high quality restaurant logo. DesignEvo is another free online logo maker that allows its users to create a stunning logo in minutes using one of their 5,000+ templates. Once you’ve entered your restaurant name and slogan, creating a dynamic restaurant logo is only a few clicks away. 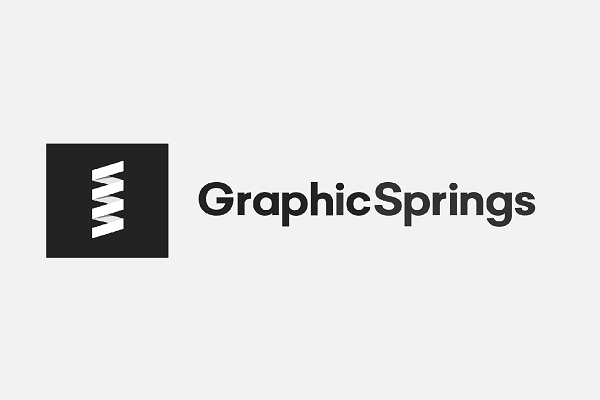 GraphicSprings is another great option for novices looking to put together a well-rounded restaurant logo with little design experience. This online logo maker isn’t entirely free though, users can spend as much as they want perfecting their logo and only have to pay they are happy with the way it looks. They also promise that you’ll be able to create a logo in one minute or less with their service. LogoGarden offers its users with a 2 in 1 experience. You can use their service to design your custom logo in minutes or you can request that they design one for you for a small fee. Design Free Logo Online allows you to either select from thousands of free to use premade logos, or to create one from scratch. Just as with GraphicSprings, designing a custom logo is free, you only pay when you are happy with your design. LogoShuffle is the most unique of the logo makers we’ve found thus far. Instead of allowing you to create a logo from scratch, users are asked to type out their company name, choose a keyword related to their brand, and finally choose a color scheme. LogoShuffle will then create hundreds of different variations that the user can choose from and edit. Generating logo designs is a free service, but downloading them will cost you. Prices start at $33. Most people know Wix as an easy to use website building platform, but in addition to that they also offer an online logo maker. Their free to use logo maker walks you through a series of questions aimed at helping you put together the best logo for your brand. They even ask you to rate a handful of premade logos to understand your likes and dislikes. Once you’ve finished, you’ll be presented with some options to choose from, all of which are 100% customizable. If you decide to use the logo you have created, pricing starts at just $12.99. With over 1.4 million logos generated, Logojoy has established itself as one of the best free online logo makers. Having trouble coming up with decent design ideas? Maybe all you need is some logo inspiration. 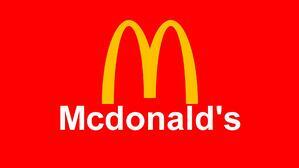 Below are the 10 most famous restaurant logos to help get those creative juices flowing. Once you've finalized your logo and move on to designing your restaurant menu, you're going to need to follow standard menu engineering practices if you want to succeed. Download our menu engineering guide below.